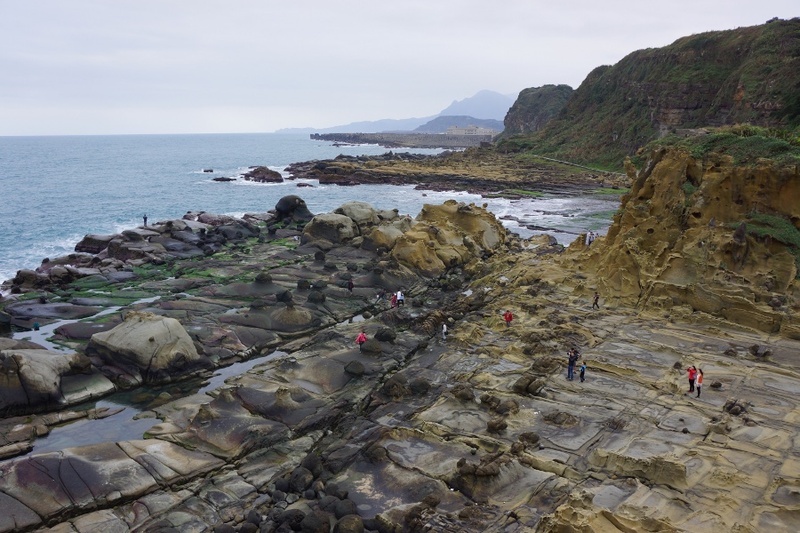 Walk among some interesting rock formations on the coast at Heping Island Park 和平島公園. I always found Taiwan’s coasts to be mysterious and almost alien. With bizarre rock formations and creepy silverfish crawling around, it’s hard to believe you’re on earth. The most famous coastal scenic area is probably Yehliu, famous for the Queen’s Head rock formation. Heping Island Park 和平島公園 (also known as Peace Island Park) in Keelung reminds me a lot of that area, yet is interesting in its own right. Check out more info after the jump.